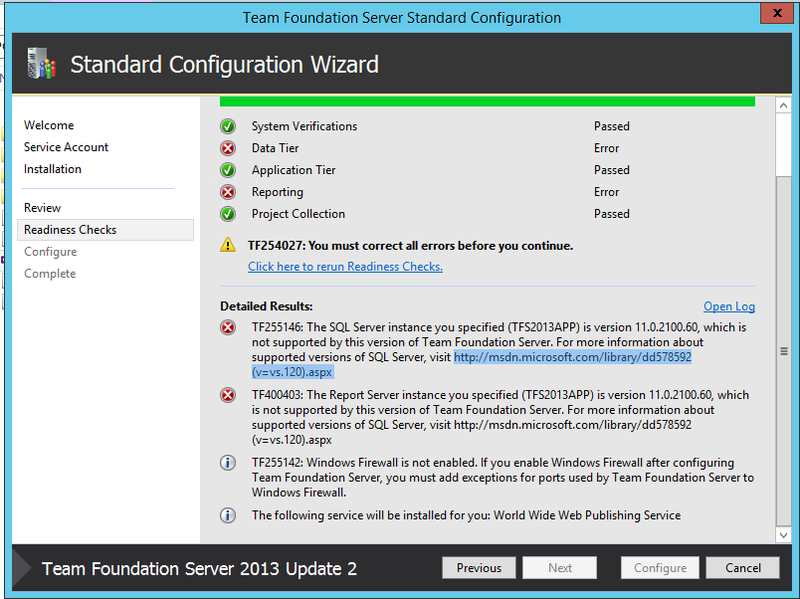 Also, it’s important if you are going to migrate TFS from one disk to other in the same server, you need to configure the IIS first and then you can change the web.config. By doing this you may lost your TFS Management Console but the services will be working properly. For Example; if you don’t make it properly you will get this kind of SQL errors.